This week is Silence of the Lambs' 20th anniversary. To celebrate I'm looking at ads for classic serial killer movies. 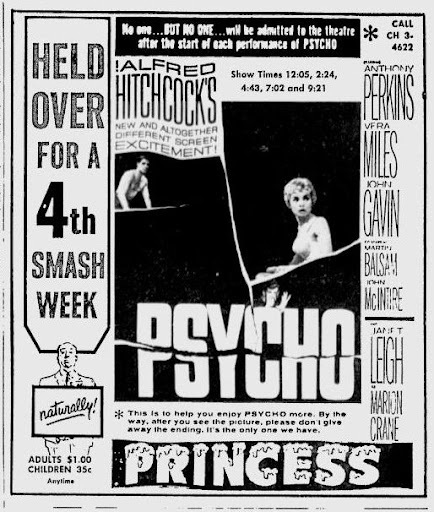 Here's an ad for Hitchcock's 1960 masterpiece, Psycho, which featured the debut of serial killer Norman Bates.